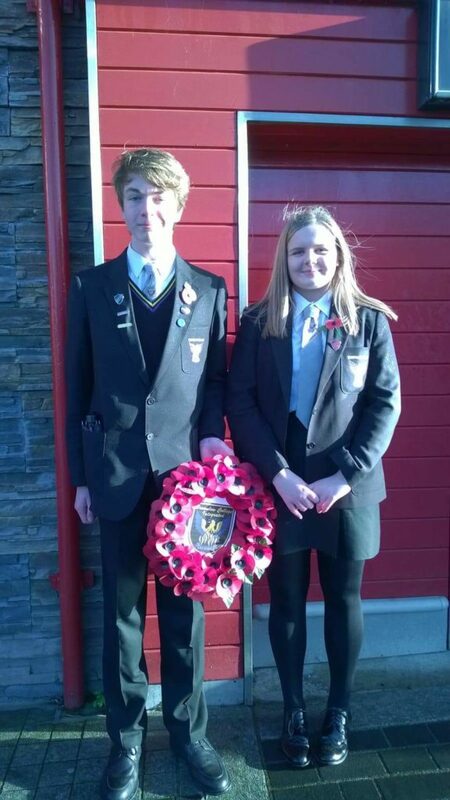 Head Boy Matthew Wheatly and Head Girl Beth Martin represented Brownlow Integrated College at the Remembrance Day service this morning in Lurgan. They laid a wreath at the Cenotaph on behalf of the school. Thank you Beth and Matthew.